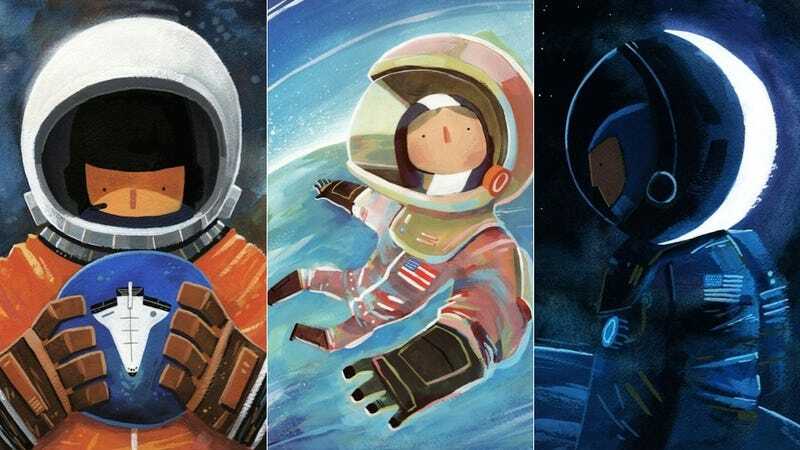 In 1963, Valentina Tereshkova became the first woman in space, and to celebrate 50 years of female astronauts, artist Ciaran Duffy has painted a series dedicated to these space pioneers. Duffy was inspired to paint his towering portrait of Tereshkova by the Women in Space Tumblr and continued from there. Although his geometric paintings have a sort of cartoony feel, as if each woman was about to leap into her own animated short—they are also quiet and reflective. You can purchase prints from Duffy's InPrint shop and original paintings from his online store. And follow his latest work on his Tumblr.